I don’t know why, but that just felt appropriate to open with being 6 days from Halloween and all. Evil cackles are the perfect compliment to many situations, don’t you think? – When you’re bored at work and want to make coworkers think you’re up to something (aren’t you always??) See Dwight Kurt Schrute III. – Ditto above, but for your significant other/family members. When to avoid witch cackles: going through airport security or customs, when the officiate asks if anyone objects to the marriage, in church, after serving food to your guests at a dinner party (Halloween excepted), near any newborn, during a GRE, at a job interview. 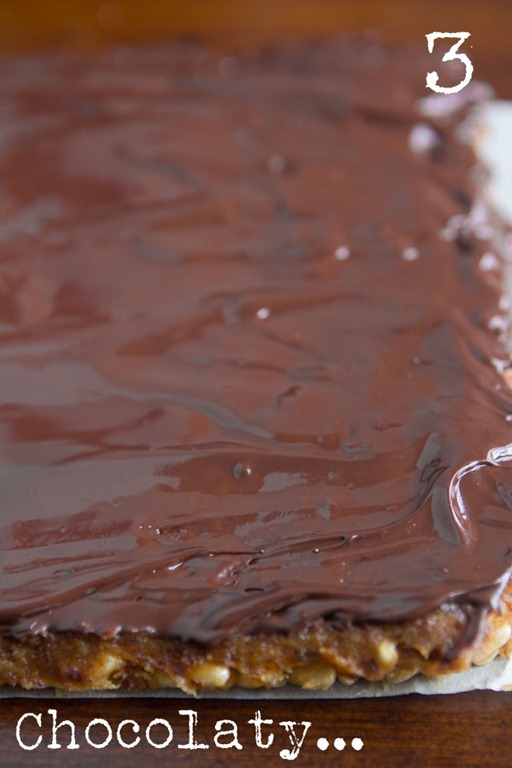 Last week, a couple of you asked me if I could revamp my Vegan Twix bar recipe. I like the way you think because I was already planning on doing so! The original recipe was very tasty and decadent, but the shortbread crust was fairly crumbly and contained a ton of vegan butter. It also required baking the crust and making caramel from scratch. For this version, I made the recipe lower in fat, gluten-free, faster, and improved the crust. After the Homemade Rolos were such a hit with many of you, I knew I wanted to use date caramel again. The crust ended up driving me a bit crazy though. I used oat flour, agave, and just a touch of coconut oil. While it held together perfectly it was way too dense and the flavour was too earthy for a Twix recipe. Substitution Notes: 1) The brown rice syrup can probably be subbed for honey (if you include honey in your diet). Agave won’t hold together as well since it’s not as “tacky”, but it will hold together when kept in the freezer. It will fall apart at room temperature though. 2) You can sub peanut butter for sunflower seed butter as a nut-free option. I wrapped up two at a time in orange candy wrappers (from Bulk Barn) and secured them with kitchen twine. Not spooky, but so darn cute and festive. 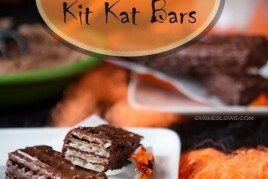 I will be making these tonight! My husband will be so excited! Love this DIY version! Thanks for creating it! Now I have something to share with my friends that is a healthy version of the gmo-laden original. I am such a chocolate lover, I can’t wait to try this. Now we’re talkin’! It’s been sooooo long since I’ve had a Twix bar and I used to just love them when I was a kid! I’ve been drooling over your rolos, but I think this recipe has moved to #1 on my ‘must make’ list!! The Twix are my new #1 too with the rolos a close second. :) Or – maybe you could even make the Rolos but mix in some rice crisp in the caramel? Anyway, enjoy! Yum! Twix bars were always my favorite, so I can’t wait to try this out! Those look absolutely delicious!! I will definitely be making these. I love that you used dates for the “caramel” layer. You are so creative and festive. I love it! I am just about to make these now, I will let you know how they turn out! I made them with great success! Your method is flawless. 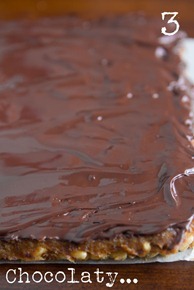 I added some more pb and some cocoa powder to the date caramel (just because)….great recipe! Great minds think alike, my friend! 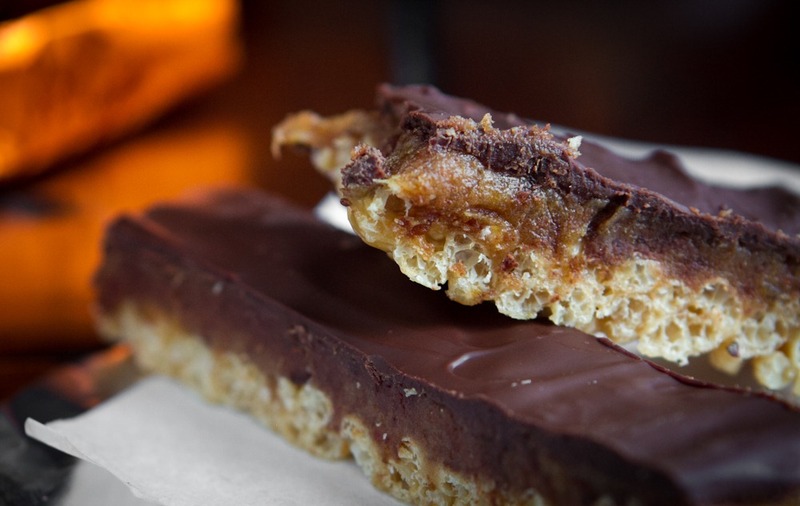 I just posted Vegan + Gluten-free No Bake Twix Bars yesterday. They were a huge hit in this house. I love the idea of using rice crisps for the base! Also, thanks for the tip on where to get those candy wrappers. I ended up buying muffin cups and then ironing them flat. Heh, it worked… but still. The Mr will FLIP for these!! Twix are his favorite! Looks fantastic! Can’t wait to try. What are your thoughts on using maple syrup instead of brown rice syrup. Thanks!! Hey Christina, I did a quick trial this morning using agave and it would only stay intact when chilled, at room temp it breaks apart – I expect maple syrup would be the same, if not a bit more so. It just depends if you mind that or not! Let me know how it goes. Yum! I have never been a Twix fan, but I think this homemade version could convert me! Angela they look amazing! Both Twix and Rolo are some of my fave candies! I love that you worked on the crust and revamped and got it to where you wanted it to be. Date caramel. Swoon. And the layers, and the texture in these, every thing about them… I am loving! Currently studying for the GRE, I took a quick procrastination break ’cause I saw you had a new post. I am now seriously considering cackling during my test tomorrow :P Thanks for the laugh! hahah, glad it made you smile. you will do great I’m sure!! I am really excited to try these! That caramel sound perfect – I love the PB twist! Who needs 1/2 price Halloween candy purchased the day after when you keep posting these amazing recipes? Glad to hear that you enjoyed the peppermint patty bars! They are a fav over here. Rice crispies – so genius! Way to go, Eric! This is such a great way to make the recipe more doable… plus, more ways to use that date caramel… awesome! I made these last night and managed to snap a picture before the last one was snapped up! They are delicious (and definitely don’t last long in our house!) Great recipe! Somehow you always find a way to make me crave chocolate! This look like a lot of fun and not too much work either, just mixing and placing. Yumm! Probably difficult to ship due to temp controls and melty chocolate issues? I wouldnt think they would ship well either unless it was super cold to keep the chocolate hard. Ah, ok, then I may send these out to my BF. He’ll be in the woods for long periods at a base camp, and what’s a better surprise package than chocolate yumminess. I recently ate a real Twix bar and it wasn’t nearly as good as I remembered it to be. Hard caramel, sub par chocolate, artificial aftertaste, if that makes any sense.. Your version looks delicious and far superior to the original! I expect I would feel the same way with many of my old fav treats. Funny how tastes can change! Would it work using quinoa puffs instead of rice crispies? WOW-your candy recipes just keep getting better and better!!! Festive indeed! I had no idea you could buy candy wrappers at Bulk Barn.. and I shop there ALL the time! I had to smile when you mentioned the salty cookies… I remember that post and thought it was hilarious! I am an even bigger fan of yours now since you just used Dwight’s full name lol. Very funny intro! The bars look amazing and so crunchy! These look so good!! And I think I just might have all the ingredients on hand… Muahaha! Rarely would I relinquish food control to anyone; but I would, absolutely, 100%, relinquish cooking duties to you. Gorgeous. I tried this out today, and boy is it good! I (sadly) don’t have any dates on hand right now, so I used raisins instead. Of course, it tastes like raisins, but they’re still really yummy. I can’t wait to try this recipe again but with dates to get a more caramel flavor! Hey Kathy, I’m glad to know that raisins work in a pinch! Thanks for letting me know. 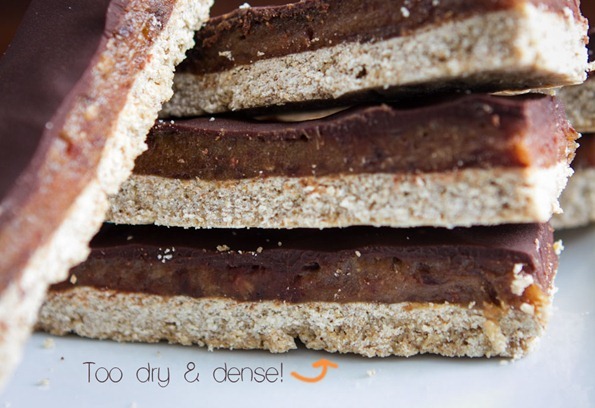 Just made these with a natural version of chocolate rice crispies and sunflower butter for the pb…SO DELICIOUS! They are not going to last long at my house! Thank you for always having such awesome recipes! Wow that does sound good! What brand makes the natural choco rice crispies? I usually buy the Nature’s Path regular kind though. So glad to hear you enjoyed the bars Rachel! Crispy rice bottoms sound even better than the original! I’m making these! Twix is one of my favorite candybars and the mini, I mean the mini ones are 50 calories each! If your recipe works, I will be in pure candy heaven!! I can’t wait to give it a try!! I love sweet stuff but I’m on a diet. 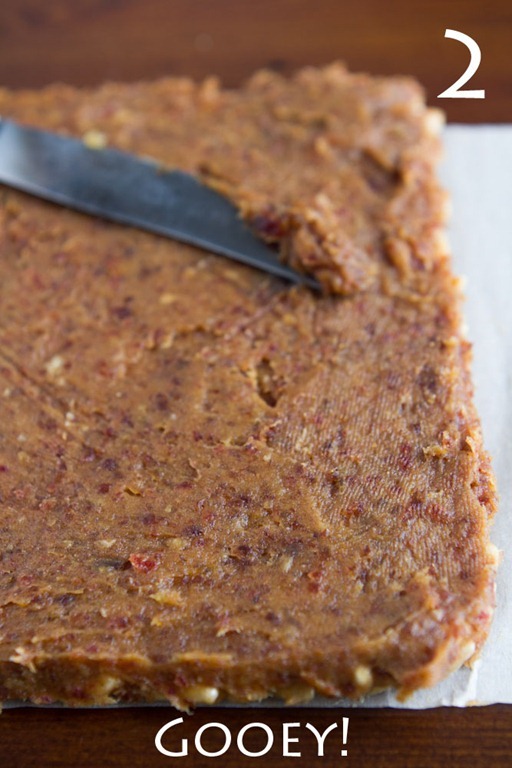 Have you made the date caramel using almond butter yet? Amazing! The almonds compliment the nuttiness of dates super well. Those are some pretty candy bars. Yum! I hope these homemade chocolate bars keep continuing. I think I’ll start with the rolos, but have twix as my second! I seriously love that you’re veganizing these, especially with Halloween coming and me thinking about how I used to raid my sister’s pillowcase and take all her: caramilk, reese pb cup, etc!! oh my gosh this is pure genius!! There aren’t many chocolate confections (homemade) that get me salivating..and I must be hungry..these look amazing! I think I’ve got everything on hand too – a perfect Friday night activity with the chocolate loving kids in the house :) Nice work Angela! Hey! Congratulations on your win of favorite blog in VegNews!! So happy for you and love your blog! These would make ANYONE happy! Great recipe Ang! I had my bars in the freezer for a day and then in the fridge for a few days and they were fine when thawed at room temp. I can’t really comment to their shelf life more than that since I gave the bars to my niece and nephew today, but they were fine for at least a few days and I would expect more! If you are concerned about them becoming dry, I would store in the fridge since it’s a bit more gentle than the freezer. Enjoy! Made these yesterday. Yum (from the whole family and the Girl Scouts). Planning on making them again soon. Realized that they really reminded me of one of my favorite childhood candy bars, the Whatchamacallit (http://en.wikipedia.org/wiki/Whatchamacallit_%28candy%29), even more than Twix. This makes me very happy. Thank you. I completely agree! I had been trying to put my finger on what they reminded me of. And once again, thank you, Angela! Just made these… very good! The bottom layer is a bit flimsy though… I don’t know if it’s supposed to be or if it was something I did? I think I would also use bittersweet chocolate for the top layer rather than chocochips next time! Everyone loved it but it was a bit too sweet for me! Those look amazing! Twix were definitely one of my favourite chocolate bars. But you have made a version where you can actually pronounce all the ingredients! Love all your recipes :). I love the date caramel idea! Thank you for all of your wonderful recipes!! Just wanted to say how much I enjoy your website, recipes and your verve for life that comes through in your posts! 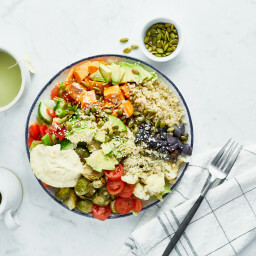 I have a new baby with a milk allergy, and thus am venturing into the dairy-free world for the first time… your yummy recipes, beautiful pictures and cute commentary make this major food adjustment so much easier! Hi Sandy, Thank you for your lovely note! It’s a pleasure to have you reading the blog. I hope you enjoy many recipes to come! All the best to you and your new baby. I can’t wait to try these, I love twix, and these actually look better!! Amazing! Going to make these for a potluck! I just made these and they are damn good. Thanks for the recipe. Twix are my favorite. 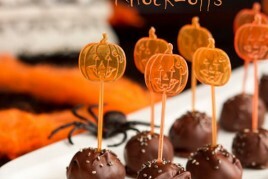 I’m definitely making these this week as a halloween treat! I made these tonight. Such a quick and EASY recipe and everyone loved them! :) I substituted honey for brown rice syrup and it worked out perfectly, I also used crunch peanut butter (all I had available) and it did not effect the consistency. I will definitely make it again. Oh my – that layer of caramel in there looks amazing! Love your method for the crispy layer. I’ve gotta try these! Just made these last night and they are amazing! Even my BF said they are incredible!! First batch is almost gone, so I have to head to the store for some more dates. 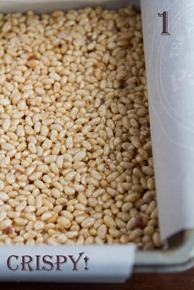 I used Arrowhead Mills puffed rice cereal and sun butter. Date caramel took a little bit of time in my Vitamix, but was well worth it. This will be our go to snack going forward and no more of those vending machine candy bars at work! Thank you! I doubled the recipe and made it in a 9 by 13 pan, worked great! This makes me wish I lived next door. Seriously, of all the candy bar recreations I see across the blog world, the one I have always wanted to see is Twix! (And KitKats, if I’m honest). Super excited about this! LONG time follower first time commenter but these are AMAZING. OH MY GOD I LOVE how the center stays gooey and the chocolate is just the right amount to make you feel like you are indulging without actually going over board. PERFECTION! Angela, you have totally outdone yourself! I just made a batch of these for a party tomorrow and I can’t wait to see the reactions on my friends’ faces! This is the kind of thing that seems so intimidating, but the steps reveal how simple it really is! Thank you so much for sharing this recipe! I almos feel like an imposter showing up to a party with such an impressive looking treat!! Oh my gosh! These look so fantastic! I have to make them soon. Thank you so much Britt! I appreciate that so much. Thanks for reading! 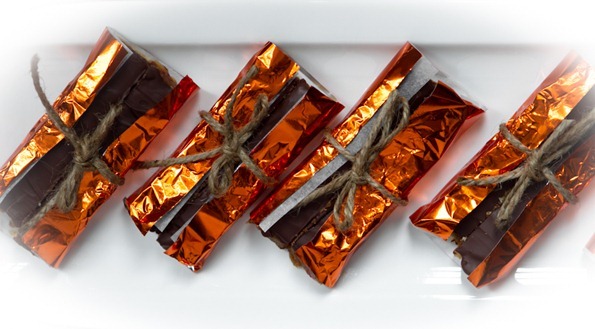 These look like a delicious treat and oh so cute wrapped up! I made these Saturday night and my husband is crazy about them! Thanks for the recipe! I am so glad I found you!!!!! Your website is amazing, your personal story very inspiring and I can relate in so many ways! 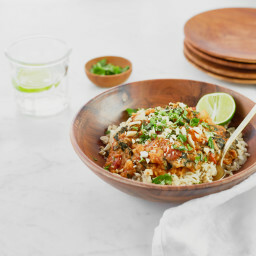 Thanks for being so generous sharing all these wonderful healthy recipes. I’ve just made these bars and they are out of this world – I am glad I found this just in time for my son’s 2nd birthday – it will be a great hit among kids and parents! Thanks again! The flavor is amazing! These are fantastic if eaten immediately, but found they don’t store well in the fridge. The rice crispies get soggy. Maybe store in freezer? Oh no! I hope it recovers with some rest! Oops. Forgot to check if the dates had been stoned. They weren’t! The date/peanut butter mixture tasted wonderful but I had to ditch it due to the “dropped on a gravel road” texture that the partially ground stones gave it…..trying again tonight!! I made these. They are VERY sugary tasting. Made these last night and they were delish! The only thing I ran into is that the rice crispy base didn’t come out ‘crispy’…was pretty chewy and almost soggy? Anyone else run into this, perhaps I am missing something?! I kind of want to take the recipe for the caramel portion of this recipe and try to make Pay Days. LOVE those, but the ingredient list on them is scary! Pinned the Twix Bar recipe I made last night! THANK YOUUU! Healthy never looked like this! Being vegan is cleansing my body and soul. Hi Angela: I found your website through Chatelaine magazine, and all your recipes look so yummy. It amazes me how many foods you might think would be naturally gluten free, but there are those tiny words “processed in a wheat facility” in the ingredient list! Hi Sharon, I would try Nature Path’s rice crisp cereal – that is what I buy and it’s gluten-free and filled with good ingredients. My stepdaughter and I made the candy bars last night. So amazingly delicious! Thanks so much for the wonderful recipe. I made these last night for my beau and he thought they were great! He did however, want to point out that they are almost identical to a Whatchamacallit candy bar as those have both peanut butter and crisps. No PB in Twix. Whatever you decide to call them- they get an A+ in our book! I don’t think we have that bar here, but that’s good to know. Just going over this recipe and was curious if rice milk would work as a subsitute for the almond milk? My youngest has horrid nut allergies … thanks! Yes, yes, and yes!! These look amazing! Hi there! Thank you for this recipe! 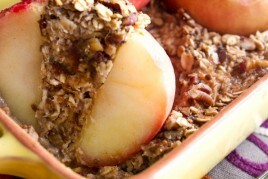 My nephew is wheat/dairy intolerant and Im making this as a dessert for him this thanksgiving! I kind of messed up and bought regular dates, instead of medjool. is it possible to soak them to help the consistency or should I just go buy medjool? Thanks!!! Yes you can soak them until very soft, just be sure to drain them well before using. Enjoy! Hi. 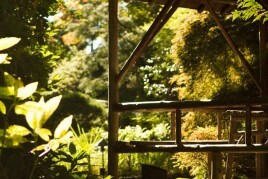 I just want to say that I love your blog. As a vegan mother of three i have found so many yummy recipies. Hi Anne, Thank you for your kind words! Im so glad you enjoy the blog. I made this yesterday and it was easy and delicious. I don’t think it tastes like a Twix bar but that doesn’t matter because the natural ingredients give it a richer taste. It is very sweet! I REALLY liked the date caramel. The rice crispy cereal also made a GREAT cookie part !! They really did taste like twix bars ! ..so i made these thinking to help with my unhealthy sweet cravings, and ended up eating the whole thing! So, not sure if that was actually help :) It was just wayyy chewy, chocolaty and delicious!! I made these to bring to work and share with my coworkers. Since I went dairy and gluten free due to my health my baking/treat making nearly become non-exsistant for a while. Thankgoodness I found your website!! I have tried so many of your recipes and shared many of them with others. These bars were gone within a few hours at work. :-) I love feeding my coworkers healthier treats that taste so yummy! Thank you for sharing your talents with us. Thnak you for your kind words Rachel, that means so much to me! Hi Angela. These bars look SO good. I would love to try them, but I don’t have any rice syrup or maple syrup on hand, and I think those are quite pricey items on my side of the world. I was wondering if molasses would work as a substitute? Or do you think the taste would be too overpowering? p.s. 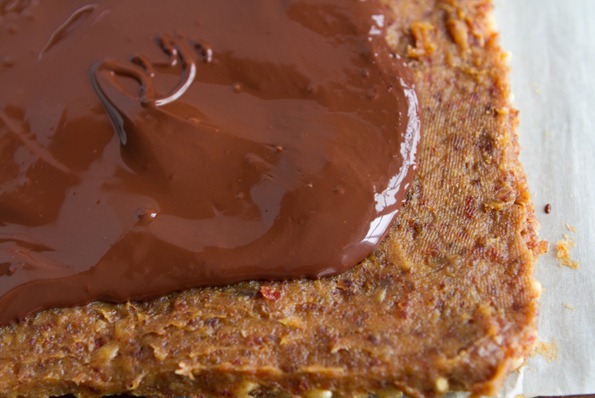 I would love to see you try an adaptation of a Snickers bar – those are legendary chocolates! Wow- I’m in awe… what a fabulous recipe. They taste sinfully delicious! I have a major sweet tooth…and these amazing things defiantly satisfied it. And its all organic! These were delicious. I made a second batch using bananas instead of dates, since I’d used my dates up in the first batch. Both were great, but I think I prefer your version a bit more. Thank you very much! This recipe kind of reminds me os “scotcheroos”… but not really. Have you ever had them/I would love to see a more healthy/vegan recreation of them… even though I know it probably isn’t easy because of the butterscotch chips? I made these with Speculoos cookie butter instead of peanut butter and omitted the date caramel layer and it was DELICIOUSLY decadent!! Thank you for sharing such great recipes! I love this recipe and make it all the time! However, I am allergic to peanuts and I found I didn’t have a sub in my cupboard for the crust, so I kept the water I soaked the dates in and simmered it with a tablespoon of golden syrup (naughty I know!) and it did the job perfectly! These turned out so good! 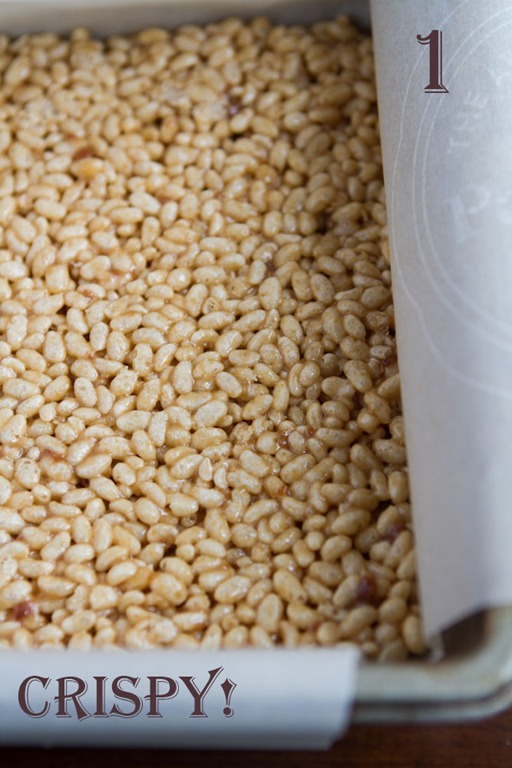 Next time I want to try puffed millet, or puffed barley. Maybe a combo of these? Still, nice recipe, keep up your amazing work, you inspire me! I finally had a chance to make these last night. I’ve been jonesing for something sweet and chocolatey and these definitely fit the bill! They were relatively easy to make and were a big hit with my hubby. My friend made these once for a potluck and they were so good, I forced her to show me where I could find the recipe! Thanks so much for sharing this! I was wondering if anybody knows how to make a crispy rice base but without the sugar. What could be used to hold it together? Or would you need some sort of dark chocolate coating as a wrapper of sorts? Yumm! My boyfriend and I just made them and they’re soooo yummy! A big part of them can already be found in our tummies, hehe. Hi Angela! These look ahhh-maazing. I’d love to try them. I do have a question though, I’ve noticed that in both the rolos and the twix bar recipes, you use date caramel. Now, as one who can’t stand dates, this creates a dilemma. So my question is: is the date taste strong? Hey Malak, You can definitely taste the dates in these recipes, but I would say the caramel flavour is more pronounced (to my taste buds anyway, I can’t comment on how it would taste for you of course). Chilling them in the freezer helps too. Good luck! I love your site. My sister found it for me as I was looking to make my own almond milk and that was the first recipe of yours I tried. Needless to say, the milk is wonderful. I made the Twix Bars for a friend’s son for dessert tomorrow. She recently decided to become a Vegan and her son has reluctantly joined her. She doesn’t like to cook, works two jobs just to get by and both of them need some comfort food. I was recently diagnosed with ulcerative colitis and am on a special diet so I couldn’t taste anything with this recipe which killed me. So, after I had finished cutting them and they’d rested in the freezer for 10 minutes I had my sis taste them. She said they were the best thing she’d had in months. I think Davy will love them and I thank you for sharing! If I make these and put them in the freezer, will they be ok if I take them out in a couple days ?? Thanks! WOW! These are really yummy. I whipped them up in about 20 minutes. I substituted raw almond butter for the peanut butter and it is delicious. This was my first recipe I have tried and I look forward to trying more! Just stumbled on this post! I’ve had a peanut allergy all my life so I’m all for making my own sweets… gets rid of the fear factor, plus I can better tailor the taste to my liking. :) I’ll be making these with Barney’s almond butter (it’s peanut free and sooooo smooth). Thanks. dates are not vegan. google it. 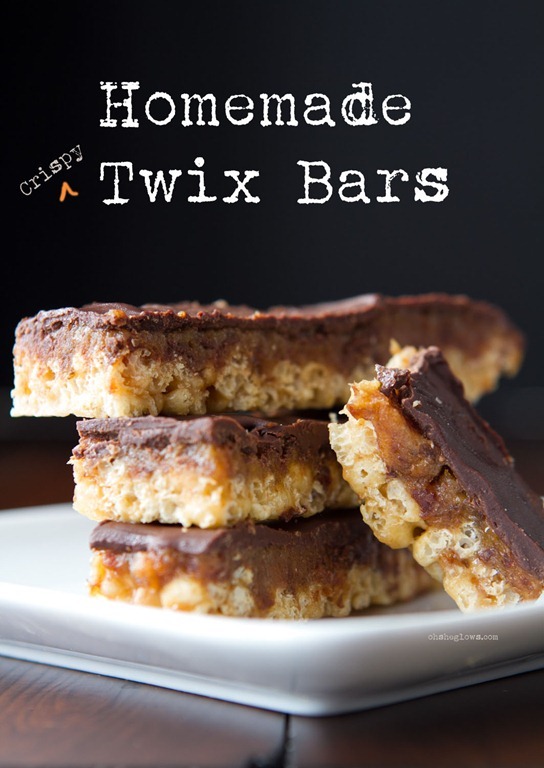 Made these today and they are great..Twix are my ultimate favorite…thanks for this!!! I made these for a friend as a thank you for dog sitting for us. It’s always a bit scary trying out a new recipe on someone else, but she kindly shared some with my husband and I and they turned out great! I used honey instead of brown rice syrup, and I think next time I’ll soak the dates longer to make them easier to blend. (How long would you recommend? Your recipe didn’t say…) Other than that turned out great! I’m amazed and impressed with people who can take something unhealthy they used to love and say, “I could make something like that!” Caramel out of dates?! Who would’ve thought?? Kudos! Made these last night and they are awesome! I don’t mean to split hairs here, but I think witht the peanut butter, they are much more like Whatchamacallits than Twix. Also, I had some trouble with paper sticking to the bottom layer…Any advice there? But still, overall, A+. Just finished these. I have so far just tasted individual layers, but love the date caramel! Bottom layer is satisfying and nice and crunchy. I just received your book and am taking Empowered Noodle Bowl to Easter Brunch. Oh my gosh these are amazing – my very picky 8 year old loves them!!!! I made them with almond butter because he doesn’t like peanut and they are sooooooo crazy good. Thank you!!!! Holy crap, these are good! I just made them for my girls xmas party. Allergies: dairy, gluten, peanuts, mangos. None of the girls thought that a dessert could be made that all could enjoy. I used WOW soy butter and honey. P.S. Salt and vinegar chickpeas are in the oven and I made the pb cookie balls the other night… all amazing! Again, another amazing dessert recipe! This is so much fun to make and I love the idea of a healthier and even tastier Twix bar! I just chocolate rice crisps for the bottom and extra dark (80% cacao) chocolate for the top layer. I also put a little more melted chocolate on the top than the recipe calls for, because I’m a chocolate fanatic. Will definitely be making these again! These were also an absolute hit with my friends. Another amazing recipe. The date caramel is a keeper. Loved it! I have made these twice now and they are so crazy good! I made them with wholegrain rice crispies and a mixed nutbutter, which worked really well. The first time I added coconutoil to the chocolate, but found it to coconutty for my taste, so the second time I simply omitted it and it worked just as well. Thank you so much for this awesome recipe, I am such a fan, everything I have tried works out so well: I had a bookpresentation and ordered two beautiful vegan cakes, but to cut back on the costs I also made your carrotloaf with sweetened vegan creamcheese on top and everone simply devoured it, liking it better than the professionally made cakes! can’t have brown rice syrup, would maple syrup work? Would love to make these, they look awesome! These taste absolutely amazing!! Can barely tell they are vegan would definitely reccomend making these! I just tripled this recipe to share with friends at church. They turned out…AWESOME! I used almond butter instead of peanut butter. I was concerned that the brown rice syrup wasn’t sticky enough to hold the cereal together, but it did! They cut beautifully. Thanks for the recipe! Why oh why did I discover this recipe! It is SO good, I’m gonna eat the whole tray!!! It’s very straight forward…will be making batches for my holiday parties this year!